With so much taking place in the seasons’ final days, it’s easy to forget that there is still plenty more at stake for the NBA’s rookies. While Damian Lillard has all but wrapped up the Rookie of the Year award, there are several rooks who are continuing to show their teams that they belong at the highest level of competitive ball and deserve to get more playing time in the future. Players such as Orlando’s Doron Lamb, Charlotte’s Jeffrey Taylor, and Philadelphia’s Arnett Moultrie have received extended playing time in the past couple of weeks due to injuries and teams not wanting to put their star players at risk for any potential injury scares, especially when there will be no postseason appearances for those respective squads. In their extended time, the aforementioned players have played well. Over their last five games, Taylor has averaged 5.4 ppg and played all-around solid defense, Lamb has averaged 8.4 ppg while shooting an astounding 58% from three-point land, and Moultrie has put up solid averages of 5.8 ppg and 4.4 rpg while also shooting 68% from the field. While the sample sizes have been small, these athletes are showing their squads that they belong in the NBA and will look to get similar opportunities over the final days of their rookie years to show that they have plenty to offer for years to come. Likewise, bench players for lottery teams aren’t the only rookies who are benefiting from sitting stars late in the regular season. 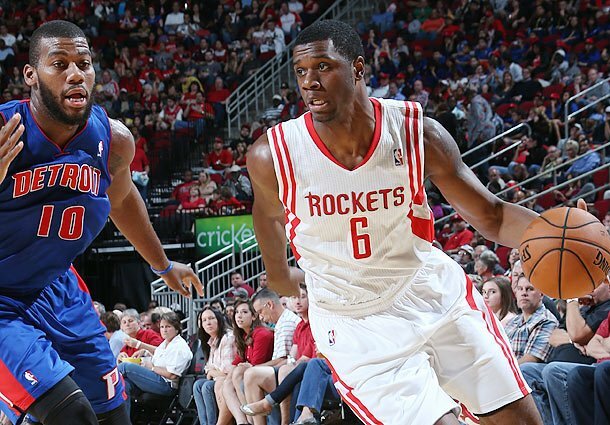 Teams that have already sealed up a position in the playoffs are resting stars while hoping to avoid the late-season injury bug, and in doing so have come across some rookies who could play a game-changing role to these teams over the next few months; New York’s Chris Copeland, Denver’s Evan Fournier, and Houston’s Terrence Jones are a few that come to mind. Copeland has been a pleasant surprise for the Knickerbockers this season and has shown his ability to fill a stat sheet over the past week while filling in for the injured/feeling less than 100-perecent New York crew; while starting the past four games, Copeland has averaged 19.5 ppg, 4 rpg, and 1 spg, all while playing out of place at the center position. Evan Fournier has also been spot starting the last couple of Nuggets outings, as he’s trying to spell Andre Miller a few minutes down the regular season stretch. Yet Fournier has looked anything but a rookie his time helping to run the Denver offense. While his season averages are 5.0 ppg, 1.1 apg, and 0.9 rpg, Fournier has averaged 18 ppg, 3.5 apg, 3 rpg, and 1.5 spg when getting the starting nod. Meanwhile in Houston, Terrence Jones has been making a case to be the next Sixth Man of the Year based off of his play of late. While only seeing action in 18 games the entire season, the former Kentucky Wildcat has blossomed recently; Jones has averaged 9.4 ppg, 6.3 rpg, and 2.1 bpg over seven games in the month of April. While these late season surges may not get these athletes the last shot in Game 7 of their respective playoff series, these surges are a sign that, given time to mature and opportunities to prove themselves, these boys sure can play. This entry was posted in Uncategorized and tagged Arnett Moultrie, Charlotte Bobcats, Chris Copeland, Damian Lillard, Denver Nuggets, Doron Lamb, Evan Fournier, Houston Rockets, Jeffrey Taylor, Los Angeles Lakers, NBA, NBA Playoffs, nba rookie, NBA rookies, New York Knicks, Orlando Magic, Philadelphia 76ers, Rookie of the Year, rookies, Sixth Man of the Year, Terrence Jones, Utah Jazz by NBA Rookie Class. Bookmark the permalink.